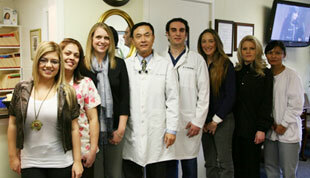 The staff at Care Smile Dental work closely together as a team. Our priority is to excel at both clinical and interpersonal aspects of patient care. We will continue to aspire to be the best place for your dental care. Dr. Chen has been practicing general Dentistry and Oral Surgery for over almost thirty years, during which he has developed strong clinical and academic backgrounds. He has almost twelve years of combined dentistry training in China and the United States. Dr. Chen graduated from the Nanjing Medical University, School of Dental Medicine in 1983 and interned in General Dentistry at the Nanjing Stomatology Hospital in Nanjing, China. His residency program in Oral and Maxillofacial Surgery was at the affiliated hospital of Nanjing Medical University, where he certified as an Oral Surgeon. 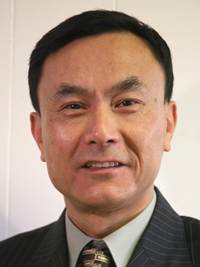 Dr. Chen taught as Associate Professor and was an Attending Doctor at Nanjing Medical University. He was a full-time Oral Surgery Clinic Instructor. He continued in private practice as a General Dentist and Oral Surgeon in China for eleven years. In the United States, Dr. Chen graduated from the School of Dental Medicine at Boston University and is a Doctor of Dental Medicine (DMD). He was awarded the prestigious “Outstanding Achievement and Excellence in Patient and Practice Management Award” at Boston University. He previously worked in his private practice in Marborough, MA. As of 2016, he has relocated his practice to his state-of-the-art offices in Harvard, MA and Hingham, MA. He routinely provides dental implants work for his patients consisting of surgical placement followed by abutment and crown or denture restoration. He has conducted research in three major areas of dentistry and he has published on his research subjects.